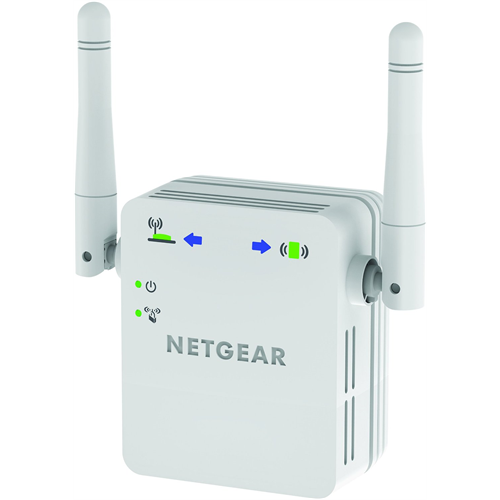 Extend your WiFi signal coverage with the WN3000RP WiFi range extender from Netgear. Compact, powerful and easy-to-install, this range extender will boost the signal on one wired device like a laptop, tablet or smart TV. 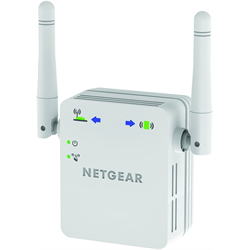 It’s compatible with routers or gateways from Netgear or other brands. Smart LED indicators on it help to determine the best location for WiFi coverage. Signal coverage can be checked remotely using the genie app which can be downloaded for both Android and iOS. It’ll allow you to monitor network status, track the download and upload traffic on your network, set or disable parental controls as well as upload/access files from your mobile device to a USB storage system. You can even send files from one device to another using Turbo Transfer.